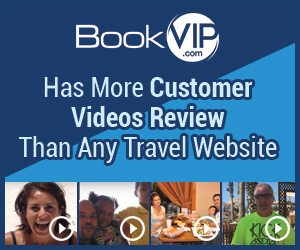 Bookvip - Booking was cancelled but my credit card charges have not been reversed. Thank you for your valuable feedback. I am glad this issue was brought to our attention and we were able to get your refund processed immediately. I wish you a speedy recovery and hope to hear from you when you are ready to take that well-deserved vacation. This was cancelled within the 7 day window. I received two confirmations on January 23 of the cancellation and the charges would be reversed within 5-7 days. It is now 5 weeks later and the charges are still on my card. I have been diagnosed with an illness that requires me stay close to home until my medications become regulated. So I may not be able to take a trip this year. I need this resolved immediately. I am attaching a copy of my cancellation notice. Please contact me as soon as possible. Reason of review: refund issue. Review #805804 is a subjective opinion of User805804. People please beware! Do not book with them! I am praying that you have had this resolved! What a horrible company!